This is a remix of Dub fx's Step on my trip by Kotch, with it heavy pounding bass line and light tight snares it get my hair on end and my head nodding every time, as do most of Kotch's tunes. 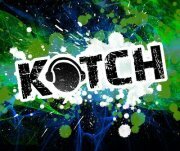 Kotch is a DJ/producer from Devon,UK. His production is clear and clean and his roots seem to lie in Dubstep, but his more recent tune a remix of Bucovina is in the Eectro/Balkan swing genre and is just as good as Step to my trip, I love the Swing/Balkan sound with a deep fat bass line, with over 4000 plays on sound cloud its available for download via his facebook page, expect to here this tune out on a dance floor near you.